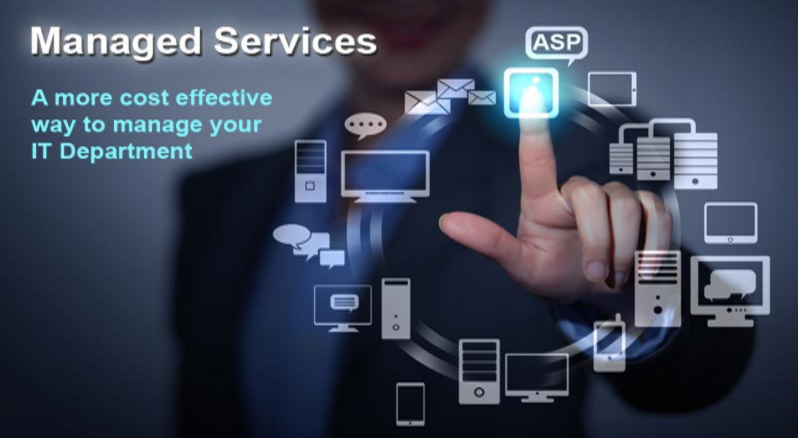 "Managed services" is defined as an umbrella term for third-party monitoring and maintaining of computers, software and networks. The actual equipment may be inhouse or at the third-party's facilities, but is running at a certain specified quality level or keeping the software up-to-date. For example, if an organization requires a secure, available, and redundant IT environment to support their business-critical systems and applications, usually it needs managed IT services including replication services, storage services, hosting services, network management and monitoring services, managed security services, email and collaboration services, disaster recovery solutions, and application services, etc. Probably the most critical managed service for your enterprise involves network security. Ensuring the security of your most sensitive data and the network ecosystem it is stored, analyzed, and communicated through is crucial to business continuity and a successful and reputable business. These articles provide insights on your best options and approaches for implementing a secure environment for your data and network applications. How Strong Is YOUR Data Security? A professional and reliable partner can help eliminate data recovery costs and expensive repairs by addressing problems before they pose huge network blockades. Moreover, managed services cost much less when compared to hiring an in-house IT team. Most Service Providers charge a fixed monthly fee for performing regular maintenance, including but not limited to data backups, security patches, virus protection updates, firewall protection updates and network performance maintenance. A professional IT Services partner performs regular preventative maintenance, thus ensuring that the performance is optimum with fewer network issues and less downtime. Most IT services come with a fixed cost which makes it easier to estimate your IT budget for the contracted period, especially as you do not need to spend exorbitantly on addressing random IT roadblocks. When an organization invests in reactive maintenance and repairs, there is a huge probability of losing mission critical data. The possibility of data loss due to hardware and software failure is eliminated by a managed IT service provider. Managed IT services can safeguard the security and integrity of your network and can limit and control IT risks to a great extent. Now, can you put a price on peace of mind? Last but not the least; IT managed services can free you up from the worry of managing your IT and can help you focus on your core business. If you're looking for what your managed services options are we offer a FREE service that will help you do just that....including free quotes comparing 100s of available providers and assistance with network design. Simply click on Get Quote and ask us....it's easy as 1, 2, 3. To see a sampling of some of the managed services providers available for you to choose from click on Carriers.